When my youngest daughter was a child she was attached to my hip, preferred a routine menu for her meals, didn't want to try new things, and was pretty shy. It's just the way she was. When she felt a call to go into missions early in her life (pre-junior high), people who knew her were surprised, taken aback, and sometimes stunned. This child? How would she survive?? I remember accompanying her as a young college student to a friend's small church to ask for support for her first mission trip. They asked her how she knew that God had prepared her for missions, how did she know that it was His call on her life. She recounted her story of what God had done to prepare her for the work ahead, how she was when she was younger and how He had completely changed her heart, which affected how she acted outwardly. Not only had He changed her personality, but her pallet and level of curiosity. Seeing the Good News brought to those that hadn't heard was more important than her comfort level. I wasn't that way when I was born... well, not completely the same. I was a fussy eater (and still can be! ), but one of the nicknames I had growing up was "Philadelphia Lawyer." I liked to argue THAT much! It was said that I'd argue that the grass wasn't green, or the sky wasn't blue, all for the sake of arguing. Once God got a hold of my heart as a young adult, He began to change my temperament. 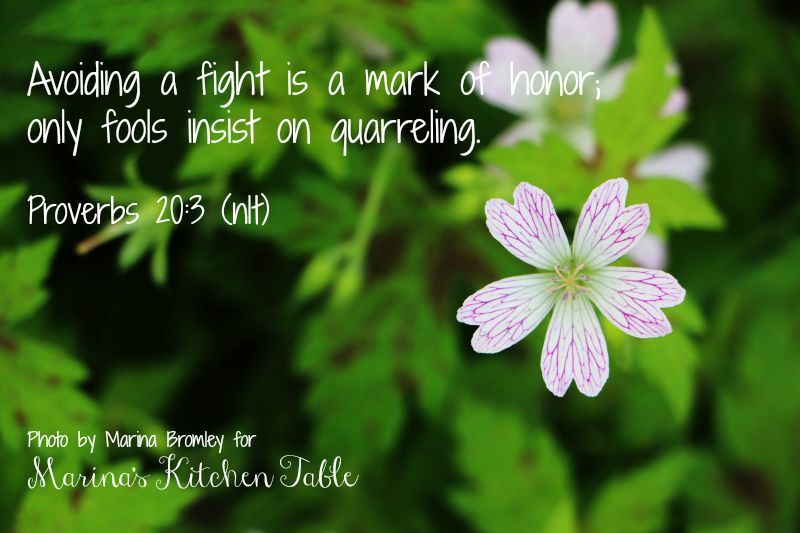 It took a while, but the verse below was a big part in breaking that arguing person I used to be. It took a while, but now I hate arguing. It causes anxiety and frustrates me when others do it. I know it goes on... all around me. I know that there are those that argue for the sake of the gospel, that's just not my style. Not my gifting. I'll respectfully disagree, but I won't argue a point. You're entitled to your opinion, and I'm entitled to mine. I might plead with you to consider the gospel, but I won't raise my voice, or insult you, or throw facts and figures around... I want to love you into the kingdom. This is just one of the many ways God has changed my heart. I'm sure that you have before/after stories of how He has worked in you! Feel free to share one! !